Porsche South Bay is thrilled to offer this exceptional 1990 Porsche 944 S2 Cabriolet finished in the classic Porsche color combination of Crystal Silver over Marine Blue with Blue top. Factory optional equipment includes limited slip diff (220), cd radio (R04) CA emissions (C02) and partial leather front seats (946). Alarm (533), cruise control (454), A/C (579) and ABS (593) were standard equipment for the US market. This 944 is one of the lowest if not the lowest mileage example in existence anywhere today having just one registered CA owner since it was delivered new and covering just under 4500 miles documented by the original CA title in the original owner's name. Carfax and Autocheck reports also corroborate the history of this very special 944. Our inspection revealed an unmolested example in need only of services due to time. Including Timing belt and Water pump. Previous recent service included a new fuel pump, battery and tires. After completing our service work this 944 was treated to a comprehensive detail and is now in as close to new condition as any 1990 944 S2 Cabriolet on the planet in our opinion. If you are in search of a collector quality example of the last and best version of the 944 do yourself a favor and pay us a visit to see and drive this spectacular Porsche. RWD 5-Speed Manual 3.0L I4 FI DOHC 16V Clean CARFAX. Odometer is 75673 miles below market average! Call, email or come in to find out more about this and other pre-owned Porsches at Porsche South Bay, a 2018 Premier Porsche Dealer and Porsche Classic Partner. Porsche South Bay is pleased to offer this exceptional 1988 Carrera Cabriolet finished in the iconic color combination of Guards Red over Champagne Leather. This low mileage example comes to us with extensive service records dating from it's first service on September 8,1988 at 1028 miles through its most recent services including AC, oil and fuel system service Alternator replacement, convertible top service and tires at 62047 miles. There is a constant and unbroken progression of mileage from day one in these records totaling over $14,000 in mostly minor maintenance. The exterior finish is in outstanding condition with consistent paint meter readings on every panel and no evidence of paintwork or prior accidents as supported by the paint meter readings in the gallery. All factory installed VIN labels are present. The fender, hood and door hinge bolts are in their factory painted in place positions along with all spot welds on either side of the engine bay. We have just performed a comprehensive service including fluids, filters, a fresh set of tires and Ca Smog certification. The interior is in equally excellent condition with patina appropriate with age and miles. If you are looking for a pristine and unmolested example of the last and best impact bumper 911 your search is over. Contact Carl Tofflemire our Classic Operations Director with any questions or to schedule an appointment to inspect this exceptional G50 Carrera. Porsche South Bay is thrilled to offer this stunning 1988 Carrera coupe finished in the amazing and unique color combination of Granite Green metallic over Grey Green leather. This Carrera is a 3 owner example that was in the possession of the last owner from 1998 to 2018. He was a fanatic when it came to service with with in excess of $30k in records standing over an inch tall from some of the most highly recognized 911 specialists in So Cal. including Redline Service, Callas Rennsport and Accutrack where an engine out service was just performed including the installation of a new clutch, AC service and fresh tires. As the last owner preferred to drive rather than show his coupe it has accumulated several character marks commensurate with age but it remains a stunning and unique example of the last and best version of the original 911. Contact our Classic Operations Director Carl Tofflemire for further details about this soon to be show quality G50 Carrera. Porsche South Bay is thrilled to offer this incredibly low mileage, last year production 964 Carrera 2 Cabriolet finished in the period's signature color combination of Guards red over Black leather. Both Carfax and Autocheck history reports document an unbroken chain of proper service, registration records and mileage accumulation from new through today. Dealer service is documented with the delivery to the first owner at Fred Lavery Porsche in Birmingham MI., while the second and third owners serviced with Paul Miller Porsche in Parsippany, NJ. through 2013. Additional services were subsequently performed to schedule by independent Porsche specialists including the well respected Holt Motorsports in Westchester, PA. This Cabriolet comes to us with a full compliment of books, keys, tools, jack, compressor, top boot, plus full tonneau cover, original window sticker and the Porsche Certificate of Authenticity. A close inspection of this stunningly original example reveals a 911 that was well extremely cared for it's entire life, that rarely if ever was exposed to the elements and one that would be at home in any discerning Porschephile's collection. Call, email or come in to find out more about this and other pre-owned Porsches at Porsche South Bay, a 2018 Premier Porsche Dealer! Porsche South Bay is thrilled to offer this incredible collector quality example of the last and best year of the original 911 in the form of the 25th Anniversary Carrera Coupe. Just 300 25th Anniversary coupes were built finished in either Silver or Black metallic. This Carrera is a documented 3 owner example with a file that includes EVERY service record from new along with a copy of the original window sticker, original owner’s manuals and both keys. The factory build record, verifying that the matching numbers driveline remains intact is also present. Our Coupe was sold new by Circle Imports in Long Beach and serviced by Porsche Newport Beach for the first owner, also a Newport resident. The second Southern California owner kept the car briefly before passing it on to the third South Bay owner who accumulated just 1000 miles per year during his 22 years of ownership. This remarkable history is documented by highly detailed Carfax and Autocheck reports, 19 CA DMV registration renewal notices along with 50+ pages of the previously mentioned service records. Our inspection has revealed an exceptionally original example having only refinished Fuchs alloys, aftermarket stereo, and a Momo shift knob as the only non stock equipment. The paint meters consistently on all panels and there is no evidence of any prior paintwork or accident damage. All factory installed VIN labels are present. The fender, hood and door hinge bolts are in their factory painted in place positions along with all spot welds on either side of the engine bay. We have just performed a comprehensive service including fluids, filters, a fresh set of tires and Ca Smog certification. If you are looking for a No Stories, low mileage, original paint, collector quality G50 Carrera that’s freshly serviced with fully documented history from day one your search is over. Contact Carl Tofflemire our Classic Operations Director for full details and to schedule an appointment to inspect and drive this incredible example of the last and best version of the Original 911. Porsche South Bay is proud to offer this collector quality example of the ultra rare 964 America Roadster. This is one of just 250 examples of the Roadster executed exclusively for the US market from 1992-1993. The America Roadster was the only true Turbo Look 964 produced for the the US and one of the most unique and rare Porsche 911 models ever. This particular example is finished in Guards Red over Black retaining its entirely original paint and interior trim. It also retains its matching numbers drive line per Porsche's vehicle information report. The impressive record file includes the original window sticker, MSO, registration records along with independent and Factory Authorized service history. The factory dealer service records begin in 1993 @ just over 1000 miles and include visits to Aristocrat Motors, Park Place and Hoehn Porsche. At the time of our acquisition a complete pre purchase inspection was performed revealing an unmolested ,sparingly used and highly original example that still retained the factory mounted front tires! 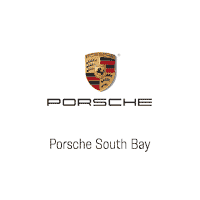 Porsche South Bay completed a comprehensive recommissioning service and detail totaling well over $10,000 this spring. Registration, insurance and Bill of sale documents confirm that this is a three owner example having been sold new to Dennis Strauss of Omaha Nebraska on 10-9-1992 who passed it along to his fiend Dr. Raymond Martinez of Odessa Texas on 7-18-97. Almost immediately Dr. Martinez again sold the Roadster to the third owner from whom we purchased it this spring. If you are seeking to round out your Porsche collection with an honest, unmolested, low mileage America Roadster with continuous documentation and excellent provenance you have to look no further. For further information on this 911 or to schedule an inspection and test drive contact Carl Tofflemire our Classic Operations Director here at Porsche South Bay Los Angles' only Porsche Classic Partner and 2018 Premier Dealer. Porsche South Bay is thrilled to offer this incredible example of the last and best of the 356 series, 1964 SC Coupe. Finished beautifully in Ruby Red over Black Leatherette this 356 SC has recently been sympathetically restored by local marque specialist Ed Rutherford and his team at Klasse 356. During the restoration the body was treated to a bare metal respray. All exterior trim was rechromed, restored or replaced as needed with the correct components. The interior was completely redone in the correct original materials. All four corners of the of the chassis were disassembled, inspected and refinished as new including all bushings, bearings, calipers, brake lines and master cylinder. The matching numbers driveline (per the COA) has been completely rebuilt with the engine receiving a 1720 CC piston and cylinder set. Likewise the transaxle has been treated to a complete rebuild to factory specifications. Given all of the in depth attention this SC Coupe has recently received you will be hard pressed to find a more correct well presented and finer driving example on the market today. Please Contact Carl Tofflemire Porsche South Bay's Classic Operations Director with any questions or to arrange for an inspection of this amazing example. Porsche South Bay is thrilled to offer this exceptional 1988 Japanese Market Commemorative Edition 911 Carrera Coupe finished in the only offered combination of Diamond Blue Metallic over Diamond Blue Full Leather with an astonishing 26,240 KM (16K miles) from new! This Commemorative Edition, one of just 875 produced world wide has a spectacular documentation file that includes 19 individual service records from Sakai Auto Haus beginning at 4537 KM and concluding at 24,795 KM. An additional 6 road worthiness / safety inspections also document an unbroken accumulation of mileage from 9656 to 23961 KM. Japan Market Owners and Service manuals complete the file and make for some interesting reading. Upon import to the US this 911 was treated to a comprehensive engine out major service by renowned Porsche specialists Rstrada @ 26,177 KM in August of 2015 including replacement of fuel lines, engine speed and head temp sensors, engine compartment blanket, turn signal switch, breather hoses and the air filter housing. Both Axles were rebuilt and all four boots replaced at that time. Finally the ride height was adjusted and alignment set. Upon our acquisition we performed a comprehensive inspection that resulted in our service department performing, a minor service including all fluids, a functionality check and recharge of the AC system, installation of 4 new Michelins along with a comprehensive detail. Imported under the 25 year exemption from federal EPA and DOT restrictions this Carrera remains in its pure Japanese market from. It is accordingly not eligible for sale or registration in California which does not recognize the 25 year exemption. If you are lucky enough to live in any of the other 49 states and are looking for one of the highest quality, lowest mileage ROW G50 Carreras on the Planet your search is over. Contact Carl Tofflemire our Director of Classic Operations to set an appointment to inspect this highly collectible example of the last and best version of the original 911. Call, email or come in to find out more about this and other pre-owned Porsches at Porsche South Bay, a 2018 Premier Porsche Dealer!